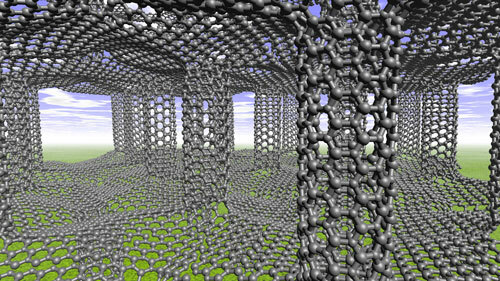 Researchers discovered that putting nanotube pillars between sheets of graphene could create hybrid structures with a unique balance of strength, toughness and ductility throughout all three dimensions. Researchers have developed a technique to observe, in real time, how individual blood components interact and modify advanced nanoparticle therapeutics. The method helps guide the design of future nanoparticles to interact in concert with human blood components, thus avoiding unwanted side effects. 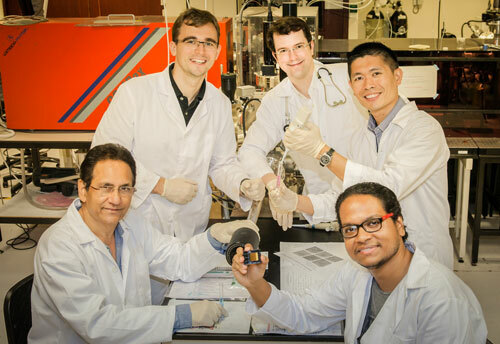 An international team has succeeded in considerably increasing the efficiency for direct solar water splitting with a tandem solar cell whose surfaces have been selectively modified. The new record value is 14 percent and thus tops the previous record of 12.4 percent, broken now for the first time in 17 years. Scientists have invented a new way to view and create what they are calling 'an electron superhighway' in an organic semiconductor. 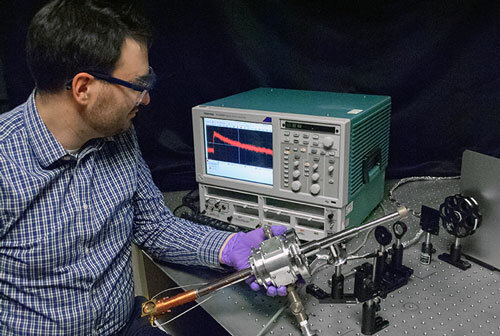 This approach promises to allow electrons to flow faster and farther - aiding the hunt for flexible electronics, organic solar cells, and other low-cost alternatives to silicon. 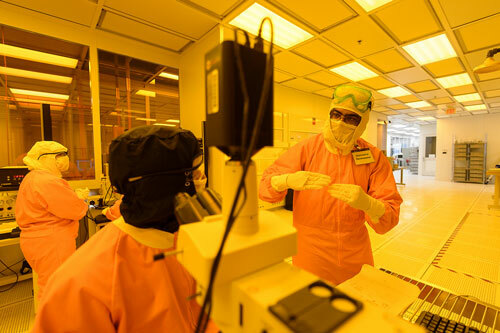 The Purdue College of Engineering is using the university's advanced cleanroom at Birck Nanotechnology Center for the laboratory to expand an electrical and computer engineering class that exposes undergraduate students to high-end research. 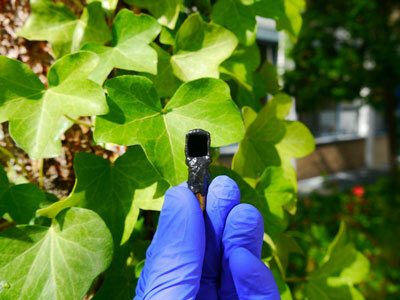 A new spectroscopy method is bringing researchers closer to understanding - and artificially replicating - the solar water-splitting reaction at the heart of photosynthetic energy production. Understanding the step-by-step mechanism of photosynthesis could lead to methods of producing highly efficient solar energy. Researchers have found that it is possible to make an electric circuit with a magnetic insulator. This was previously deemed impossible. 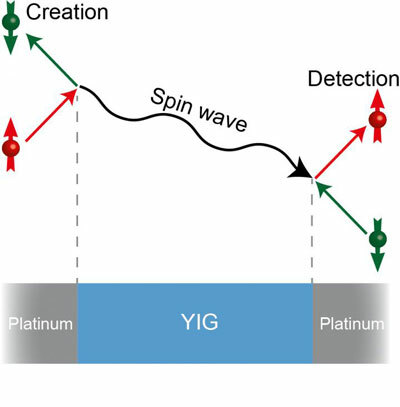 The circuit is realized using spin waves: wave-like perturbations in the magnetic properties of a material. 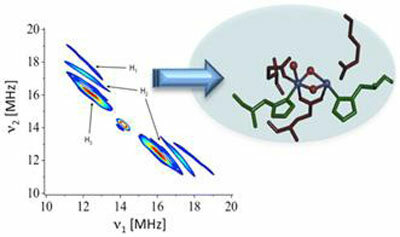 The new technique involves monitoring photocurrent transients in specially engineered photodetectors that provide very high temporal resolution of only 50 picoseconds. Telecommunication networks will soon have to exploit the quantum properties of light. Researchers recently generated directly cross-polarized photon pairs on a chip, a first in quantum optics. Polarization will now be among the controllable parameters for harnessing light, helping the creation of low cost, high performance, energy efficient technologies. 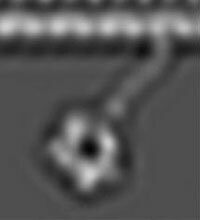 Scientists used electron microscopes to capture images of the largest type of motor protein, called dynein, during the act of stepping along its molecular track. 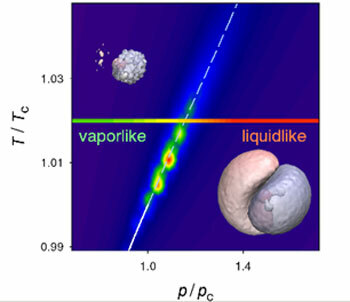 A research team has discovered that a primitive form of the liquid-gas transition extends far into the supposedly featureless supercritical phase at the molecular scale in water and demonstrated that the conclusions are likely to apply more generally. 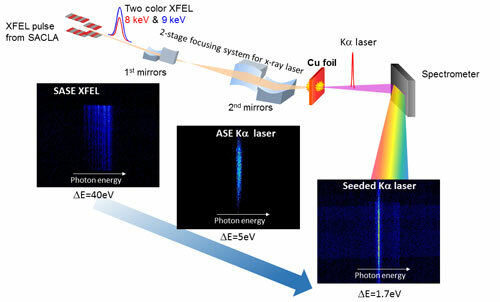 Researchers have built an atomic X-ray laser with the shortest wavelength yet, producing a stable beam with a wavelength of 1.5 Angstrom, or 0.15 nanometers. This tiny wavelength is nearly ten times shorter than that of previously-reported atomic lasers. 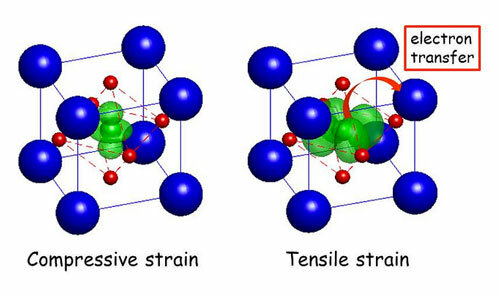 A mathematical model has been presented in this research, which is able to predict the behavior of the structures under static and dynamic loads. An overview of regulatory solutions worldwide on the use of nanotechnology in food and feed production shows a differing approach: only the EU and Switzerland have nano-specific provisions incorporated in existing legislation, whereas other countries count on non-legally binding guidance and standards for industry.